Buying property continues to be a popular investment choice by both individuals and institutions who are looking to grow their wealth and/or secure a long-term income. Property can generate substantial returns for investors but, if the diligence is not properly completed or if not managed properly, it can also incur considerable losses. At Sam Hawking Property Lawyers, we advise private clients, investors and businesses who are looking to invest in either the commercial or residential property sectors. Our service is tailored to our clients’ requirements, working with them to achieve their goals in property. We also work with other professionals such as agents, financial/mortgage advisors, surveyors, architects and accountants to give the best experience possible. Our specialist Property Lawyers deal with legal due diligence to make sure the proposed investment is sound. We work with our clients by negotiating and securing the contracts, putting funding arrangements in, dealing with stamp duty, land tax and the Land Registry to transfer the title. 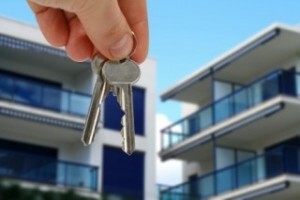 All property management related work such as assigning leases, consents for alterations, sub-letting issues and contracts, and also advice and guidance on general property issues ranging from dealing with restrictive convenants, flying freeholds, neighbours’ rights, unregistered titles, rights of way, and adverse possession.